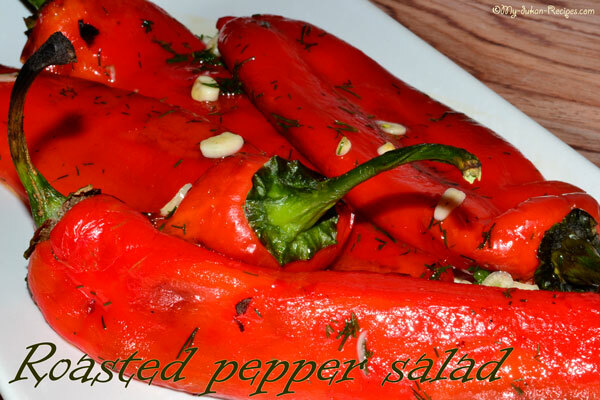 Roasted peppers is simple recipe and takes about 30 minutes start to finish. Rinse and dry peppers to be roasted. 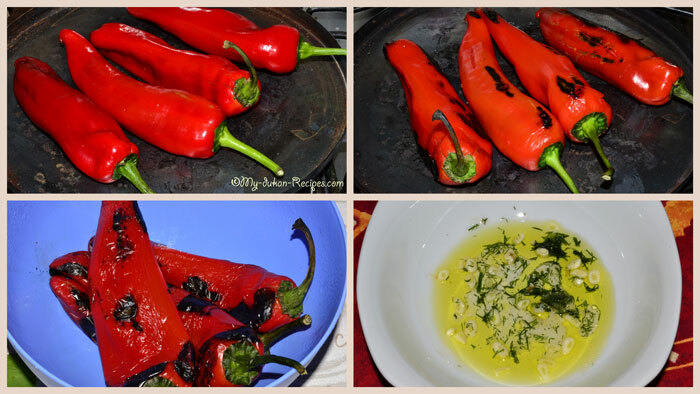 Heat the barbecue grill and when the grill is hot, place peppers on grill. If there is a cover for the barbecue, cover. 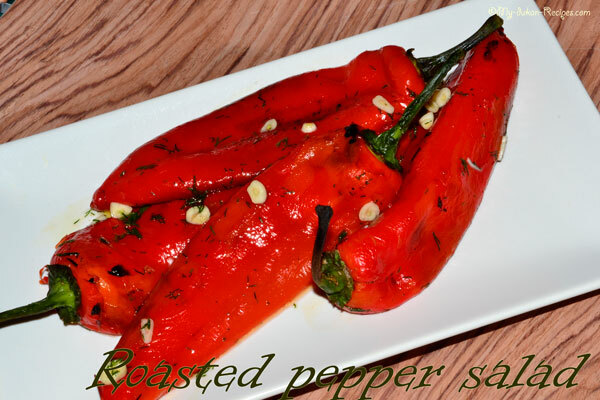 Of course you can roast bell peppers without a grill. They are easily roasted in the oven (put them on a baking sheet lined with parchment, foil or a silicone mat and roast them in a 180oC/350oF/Gas 4 oven, turning them as each side chars, for up to an hour) and more messily over the gas burner of your range (place them on the burner rack). As skins blacken and bubble, turn to roast all sides. Remove the peppers once they are charred and put them in a bowl and cover them with a plate (or put them in a bag and close the bag). Then, when the peppers are cool enough to handle (takes 15 to 20 minutes), use your fingers to peel away the skin. Discard the skin. 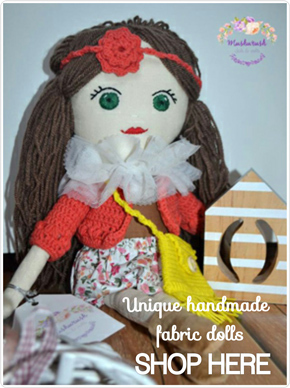 You can also remove the stem, membranes and seeds. Peppers are now ready to use in a recipe or to store for later. Meanwhile you can make the dressing. In a bowl mix the olive oil, balsamic vinegar, the minced garlic and the drill and put this over the roasted peppers and let it rest for 30 min until you serve them. I will guarantee you that everyone’s going to want to clean the plate.